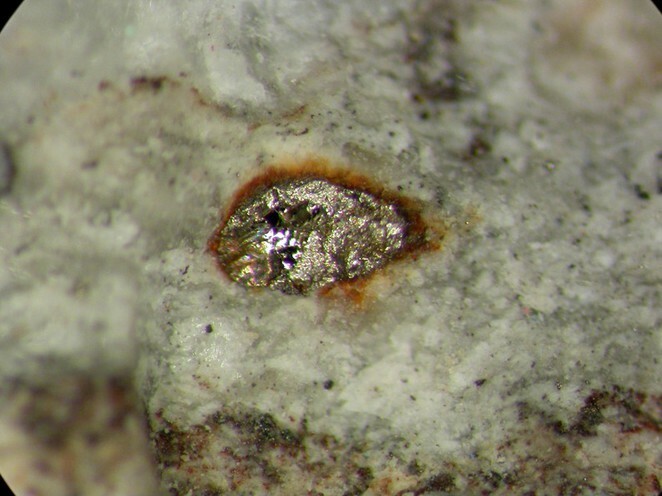 Barringerite: Mineral information, data and localities. 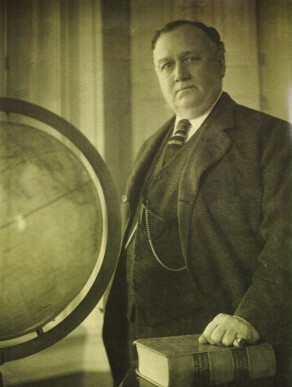 Daniel Moreau Barringer (May 25, 1860, Raleigh, North Carolina, USA – November 30, 1929, Philadelphia, Pennsylvania, USA), early proponent of the meteor impact origin of Meteor Crater, Canyon Diablo, Arizona, USA. This page provides mineralogical data about Barringerite. Schreibersite 4 photos of Barringerite associated with Schreibersite on mindat.org. Murashkoite 3 photos of Barringerite associated with Murashkoite on mindat.org. Diopside 1 photo of Barringerite associated with Diopside on mindat.org. Hendricks, S.B., Kosting, P.R. (1930) The crystal structure of Fe2P, Fe2N, Fe3N and FeB. Zeitschrift für Kristallographie: 74: 511-533. Buseck, P.R. 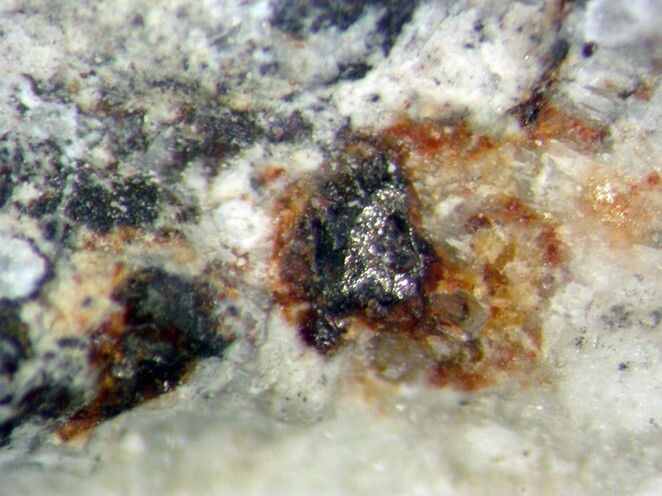 (1969) Phosphide from meteorites: barringerite, a new iron-nickel mineral. Science: 165: 169-171. Fleischer, M. (1970) New mineral names. American Mineralogist: 55: 317-323. Carlsson, B., Gölin, M., Rundqvist, S. (1973) Determination of the homogeneity range and refinement of the crystal structure of Fe2P. Journal of Solid State Chemistry: 8: 57-67. Catalono, A., Arnott, R.J., Wold, A. (1973) Magnetic and crystallographic properties of the system Fe2P1-xAsx. Journal of Solid State Chemistry: 7: 262-268. Cervelle, B., Cesbron, F., Desnoyers, C., Gasperin, M., Sandrea, A. (1975) Morphologie et propriétés optiques des phosphures de fer et de nickel FeP et Ni2P. Bulletin de la Société Française de Minéralogie et de Cristallographie: 98: 289-293. Fujii, H., Komura, S., Takeda, T., Okamoto, T., Ito, Y., Akimitsu, J. (1979) Polarized neutron diffraction study of Fe2P single crystal. Journal of the Physical Society of Japan: 46: 1616-1621. Dunn, P.J., Cabri, L.J., Chao, G.Y., Fleischer, M., Francis, C.A., Grice, J.D., Jambor, J.L., Pabst, A. (1984) New mineral names. American Mineralogist: 69: 406-412. (1984) Mineralogical Abstracts: 35: 186-187. 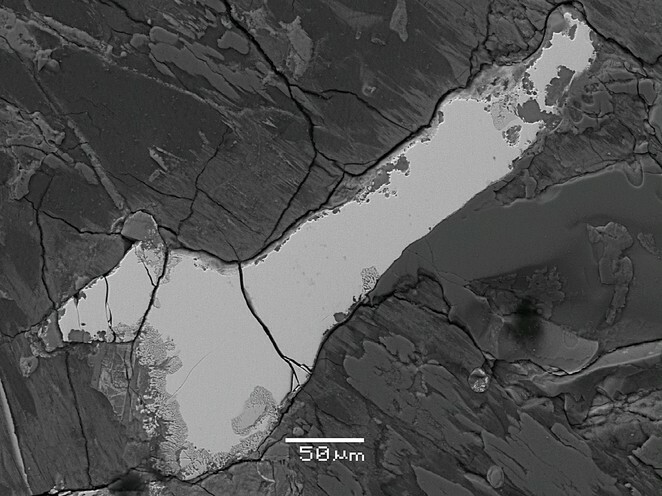 Brandstätter, F., Koeberl, C., Kurat, G. (1991) The discovery of iron barringerite in lunar meteorite Y-793274. Geochim. Cosmochim. Acta: 55: 1173-1174. Anthony, J.W. et al. (1997) Handbook of Mineralogy, Vol. 3, 44. Mikouchi, T., Zolensky, M., Tachikawa, O., Komatsu, M., Ivanova, M.A., Le, L., Gounelle, M. (2006) Electron back-scatter diffraction (EBSD) analysis of two unusual minerals in carbonaceous chondrites. Lunar and Planetary Science: 37: 1855-1855. Nazarov, M.A., Kurat, G., Brandstaetter, F., Ntaflos, T., Chaussidon, M., Hoppe, P. (2009) Phosphorus-bearing sulfides and their associations in CM chondrites. Petrology: 17(2): 101-123. M. A. Nazarov, G. Kurat, F. Brandstaetter, T. Ntaflos, M. Chaussidon, and P. Hoppe (2009). Phosphorus-Bearing Sulfides and Their Associations in CM Chondrites. Petrology vol. 17, #2, 101-123. Nazarov, M. A., Kurat, G., Brandstaetter, F., Ntaflos, T., Chaussidon, M., & Hoppe, P. (2009). Phosphorus-bearing sulfides and their associations in CM chondrites. Petrology, 17(2), 101-123. Nazarov, M. A., Kurat, G., Brandstaetter, F., Ntaflos, T., Chaussidon, M., & Hoppe, P. (2009). Phosphorus-bearing sulfides and their associations in CM chondrites. Petrology, 17(2), 101-123.; Ivanova, M. A., Taylor, L. A., Clayton, R. N., Mayeda, T. K., Nazarov, M. A., Brandstaetter, F., & Kurat, G. (2002, March). Dhofar 225 vs. the CM clan: Metamorphosed or new type of carbonaceous chondrite?. In Lunar and Planetary Institute Science Conference Abstracts (Vol. 33, p. 1437). M. A. Nazarov, Franz Brandstaetter, G. Kurat & T. Ntaflos. (1998). Chemistry of P-rich Sulfides in Murchison, Cold Bokkeveld and Nogoya CM Chondrites. 29th Annual Lunar and Planetary Science Conference, Houston, TX, abstract no. 1628. (March 1998). M. A. Nazarov, F. Brandstaetter, G. Kurat (1996). Phosphides and P-rich Sulfides in the Mighei (CM) Chondrite (Abstract), Lunar and Planetary Science, volume 27, page 939. Anthony, J.W., et al (1995), Mineralogy of Arizona, 3rd.ed. : 129, 273.